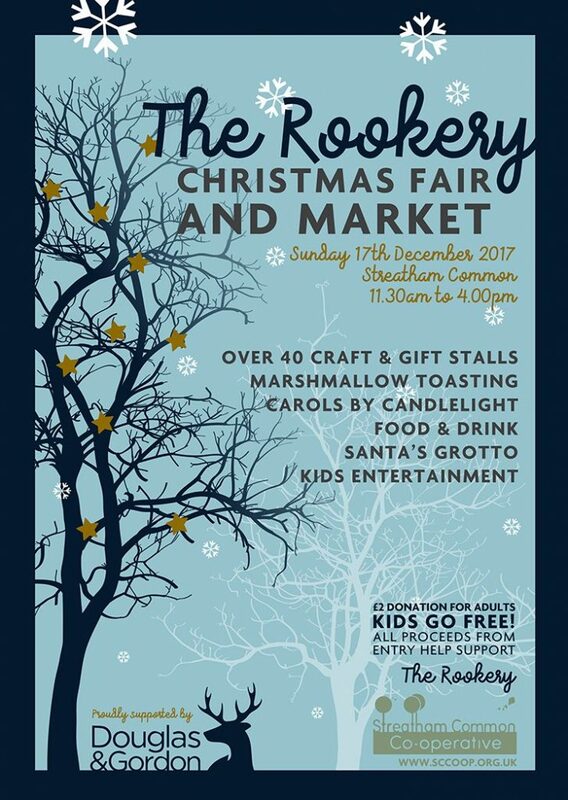 Located within the grounds of our beautiful Rookery, this is the fourth year for the event and is a brilliant day out for adults and kids alike. What better way to spend a Sunday in December with some traditional cheer and grab that last minute gift! This year will feature over 40 stalls with local arts and crafts, gifts, hampers, home wares, clothing and treats. There will be delicious food stalls, a Christmas cafe, mulled wine stall and our on site Brewers, Inkspot, who will be serving their craft beers, ales and lagers. The marshmallow toasting area and flame garden will be back, so come along and warm your fingers whilst eating a gooey marshmallow treat! New for this year will be an area for the monthly Farmers Market – a chance to buy delicious food for your Christmas table, plus a series of festive Workshops – available to pre book – details to follow. Our beautiful Winter Wonderland Santa’s Grotto will be open from 11.30, with a donation of £3 per child. Each child will receive a gift from Father Christmas. Musical entertainment will come from our favourite DJ Tony, alongside songs by local choirs and a gorgeous Carols by Candlelight led by the Streatham Central Church. Do stay, light a candle, grab a glass of mulled wine and enjoy this perfect end to the day. The fair is proudly sponsored by Douglas & Gordon and we are very grateful for their continued support. For Christmas Fair information, get in touch with events@sccoop.org.uk.